Rage of the Bahamut is one of the best TV anime to be made in the last few years. Made by the Tiger and Bunny team. Good stuff. Short and sweet too, 12 episodes. Just watched the OVA mini series The Dragon Dentist at Chrunchyroll, and would like to make a recommendation to watch it when its available to you. Especially if you'd like to see something different. The Dragon Dentist by Kazuya Tsurumaki (FLCL) & Hideaki Anno (Evangelion, His & Her Circumstances) from Studio Khara. Its the first of the Japan AnimatorExpo shorts to make the leap to a bigger format, and I quite enjoyed it. It stands out and is a bit more original than other anime shows in this time and age. The Dragon Dentist looks interesting. 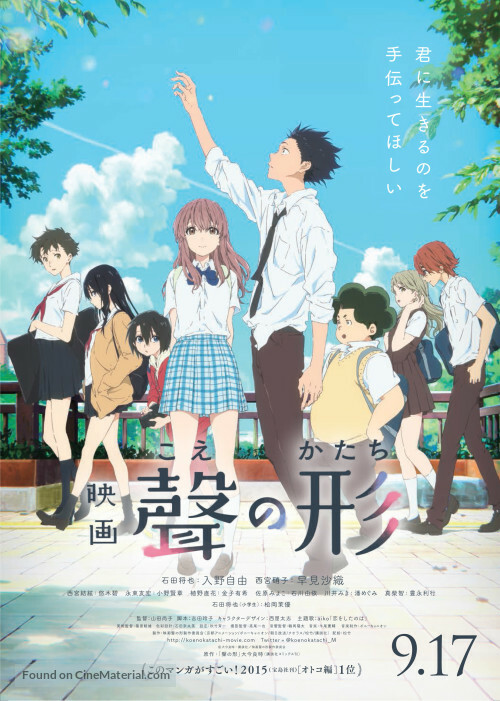 Recently I watched an Anime Movie called Koe no Katachi (A Silent Voice). I was totally blown away by it. Plot, pacing, animation quality and everything was perfect. I would rate it almost exactly the same as Kimi no Na wa (Your Name), which won many awards if I remember correctly, only lacking in exuberant special effects that the latter one has. If you had the chance to see them both, please do, they are both extremely well made. I am amazed that my original post is still up and running. Good anime never stops, I guess. I will take you up on your suggestions and check it out. Let's bring this thread back to life. What is good these days? Worth our time?